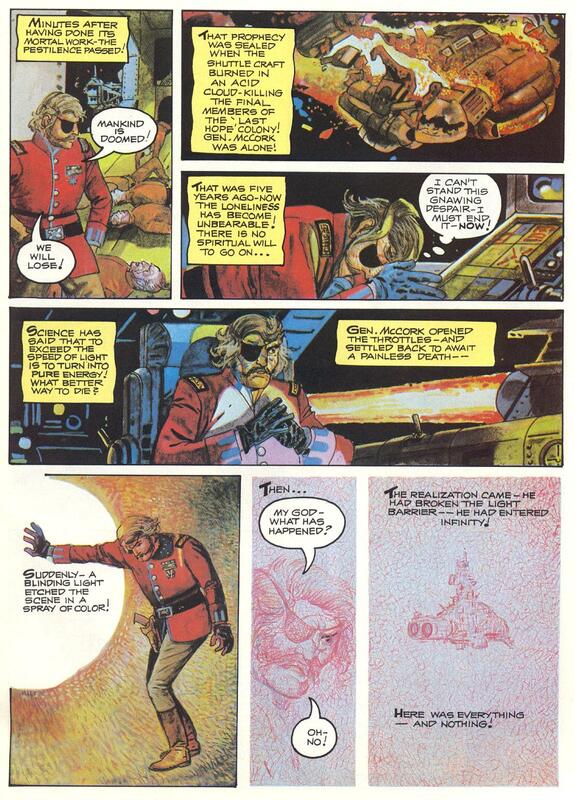 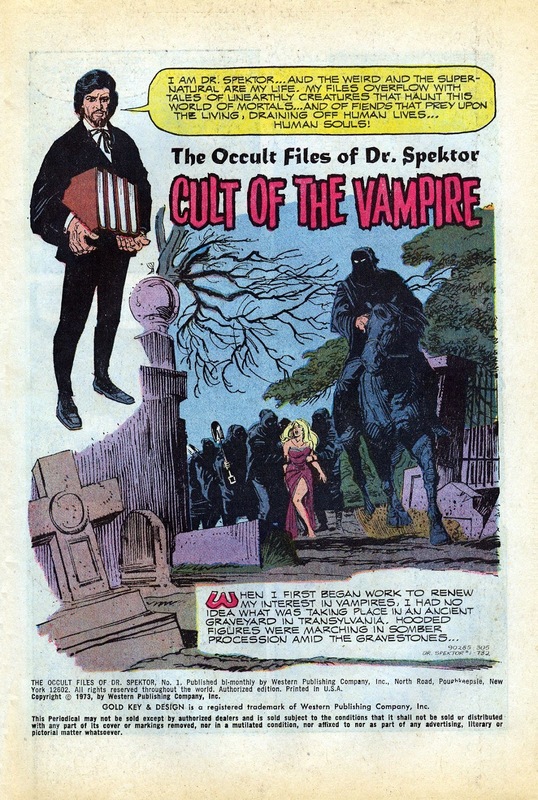 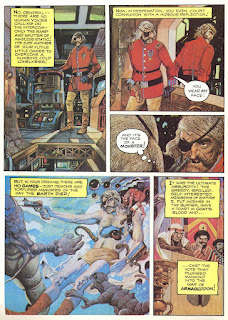 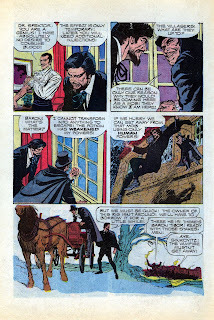 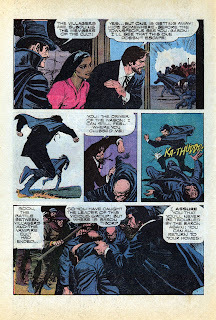 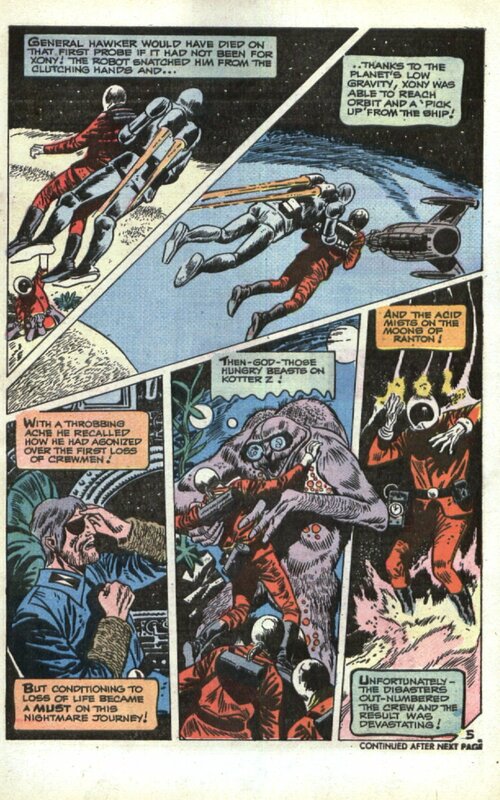 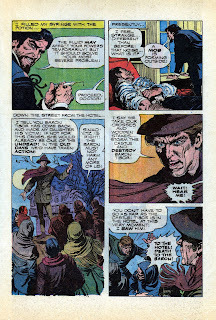 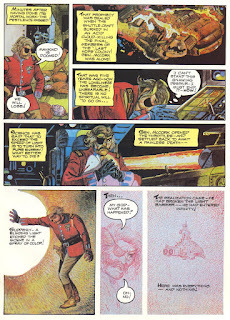 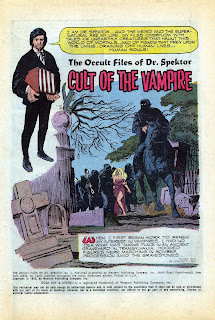 The Occult Files Of Doctor Spektor was a cracking little series from Gold Key that probably went unfairly unnoticed at the time. 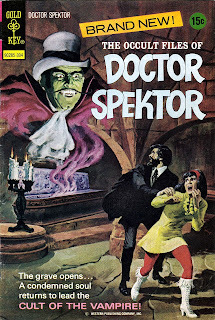 Adam Spektor is a paranormal investigator, who's taken it upon himself to travel the world solving bizarre mysteries. 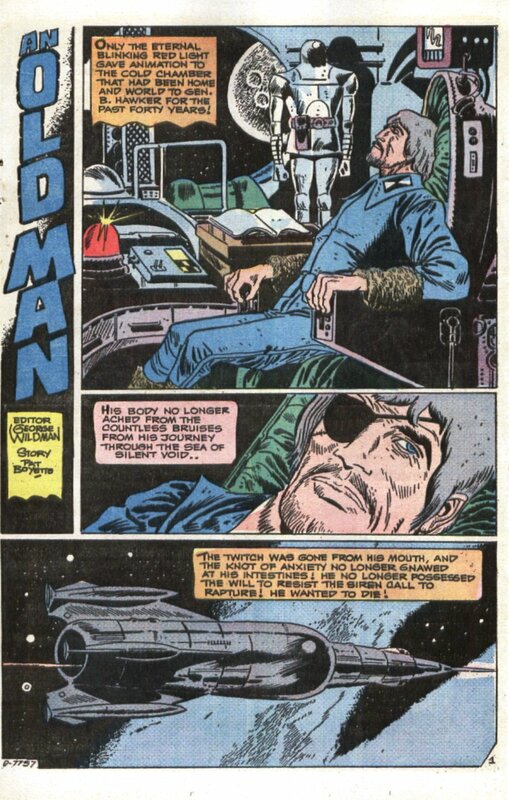 He's a bit younger than contemporaries like Doc Strange, and seems a bit groovier and less formal, and also looks a bit like he should be appearing in a spaghetti western. 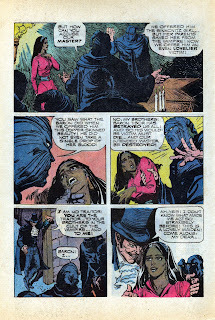 His ( hem hem ) 'secretary' is the brilliantly named Lakota Rainflower, a hot indian chick who, no matter how many monsters they come across, always insists there's a rational explanation for the creepy stuff happening. 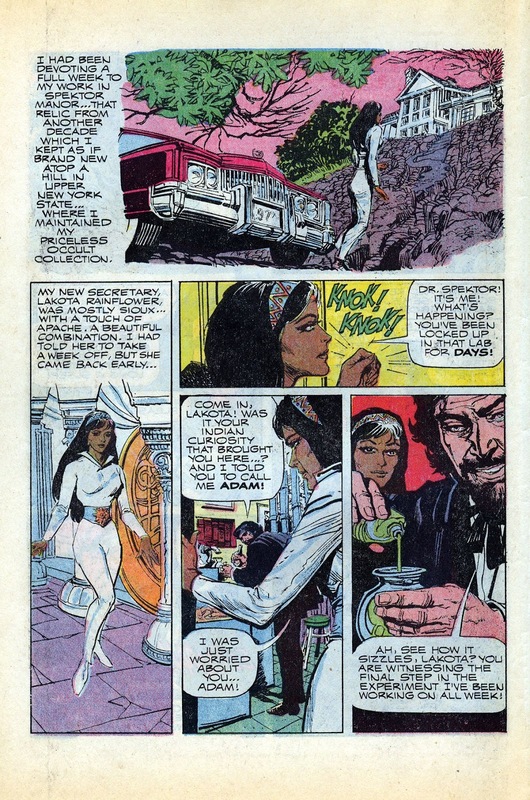 For a secretary, Lakota never seems to do much filing, but as writer Don Glut never tires of reminding us, she's very definitely an Indian, her hot Apache blood rising at every sign of danger, which makes her a bit more feisty than the average helpless damsel anyway. Plus, she wears rawhide go-go boots, de rigeur for every Bronze Age Injun chick I should think. 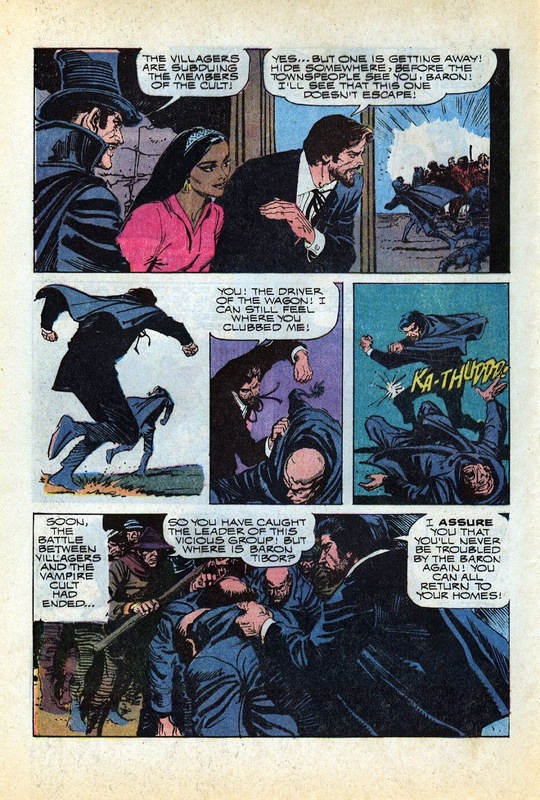 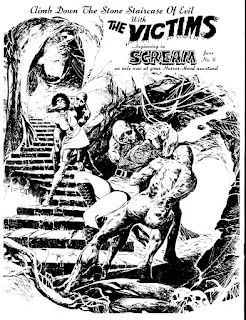 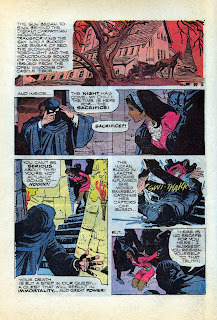 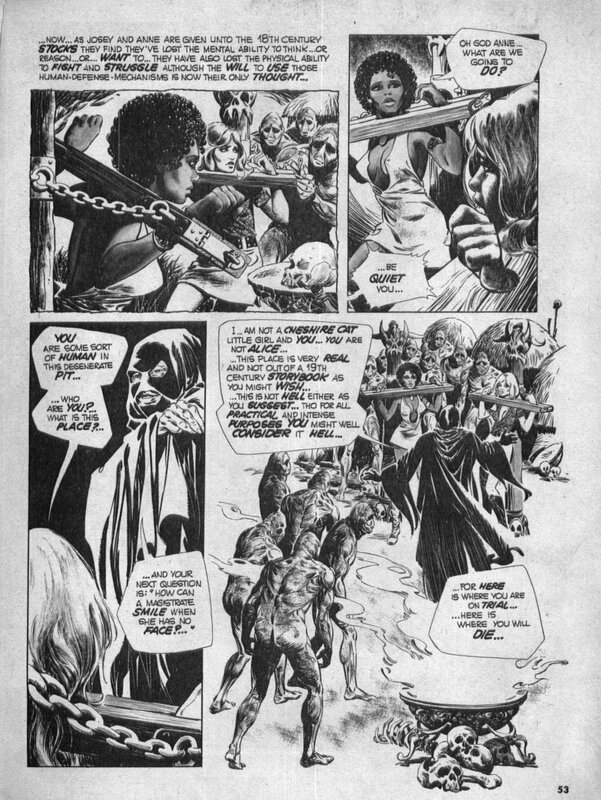 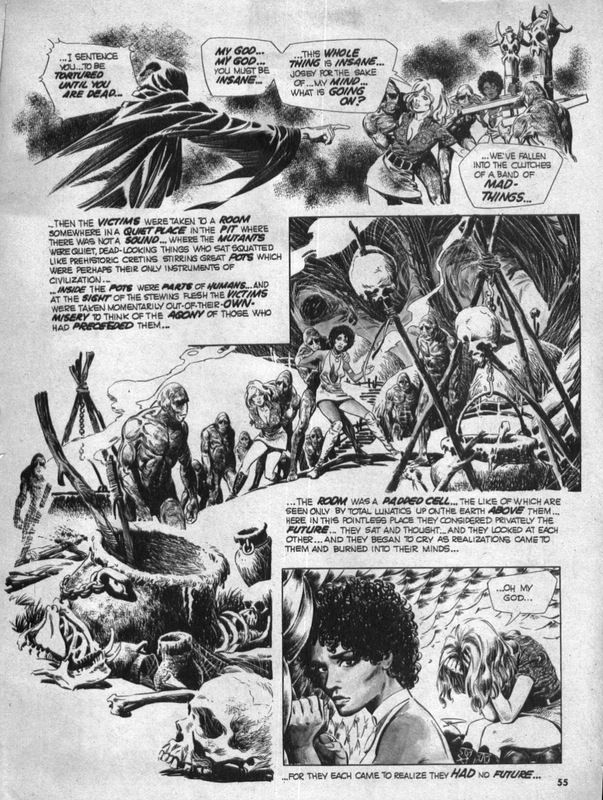 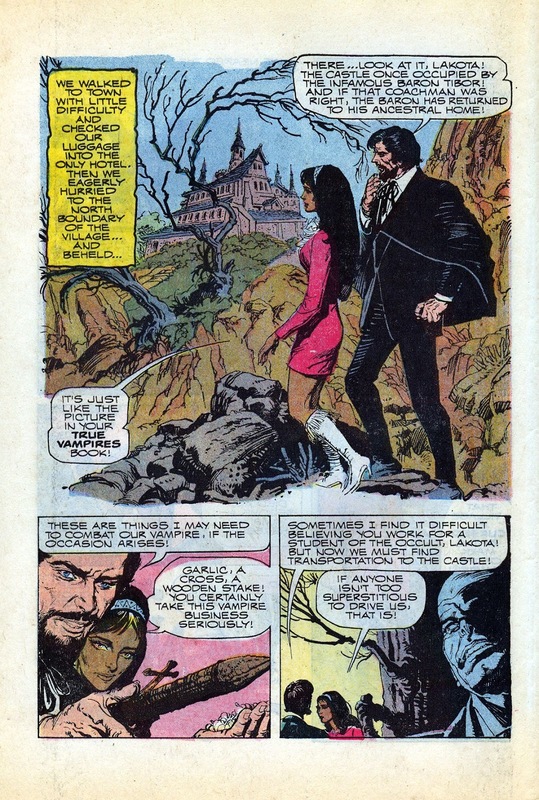 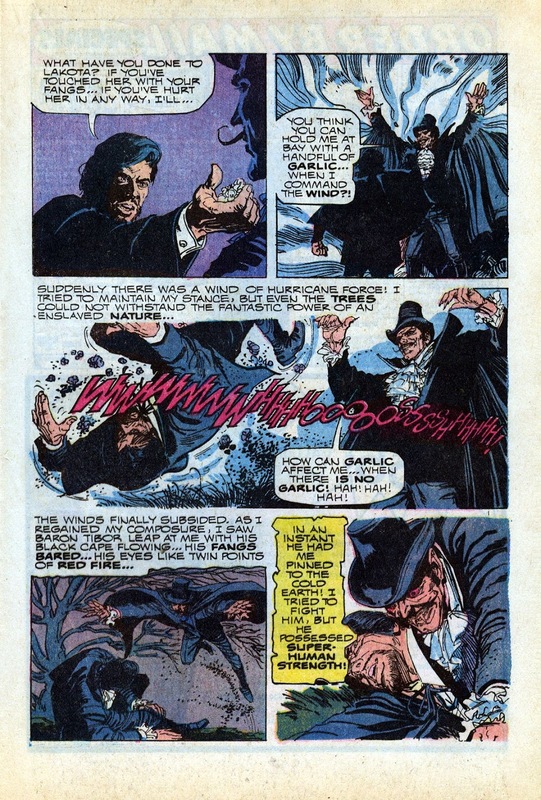 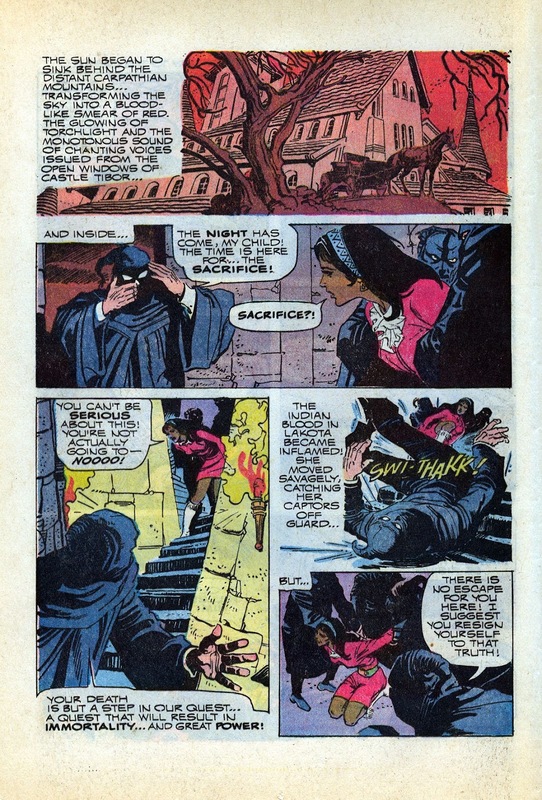 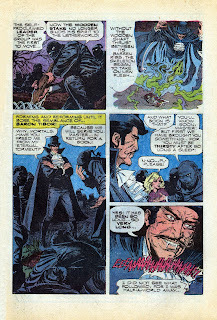 Don has fun with the premise, turning Spektor into a werewolf at one point, as well as tying him into chronology in one story where he's revealed to be the descendant of Dagar The Invincible, the sword & sorcery series Glut & artist Jesse Santos were also doing for Gold Key. Santos is the star of the show, and he had a really interesting back story. 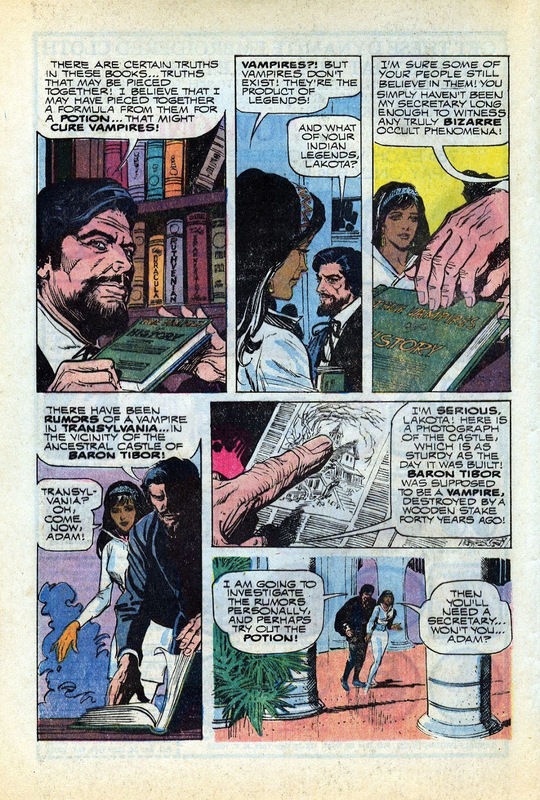 Apparently, he'd tried for years to break into the American comics market, before going back home to the Phillipines and working in the small, but prolific field there. 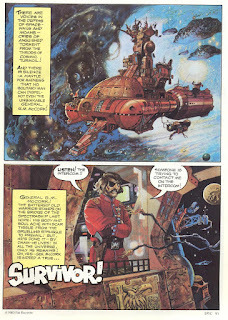 Here's a couple of takes on the same story from Mr. 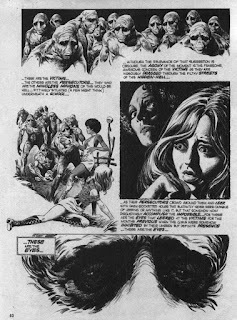 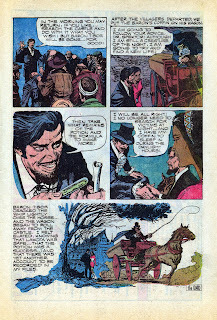 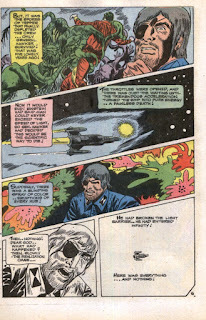 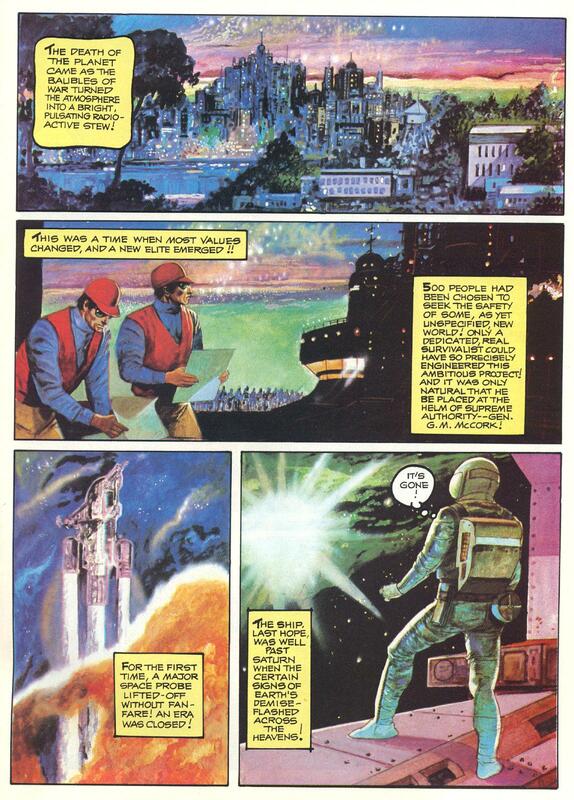 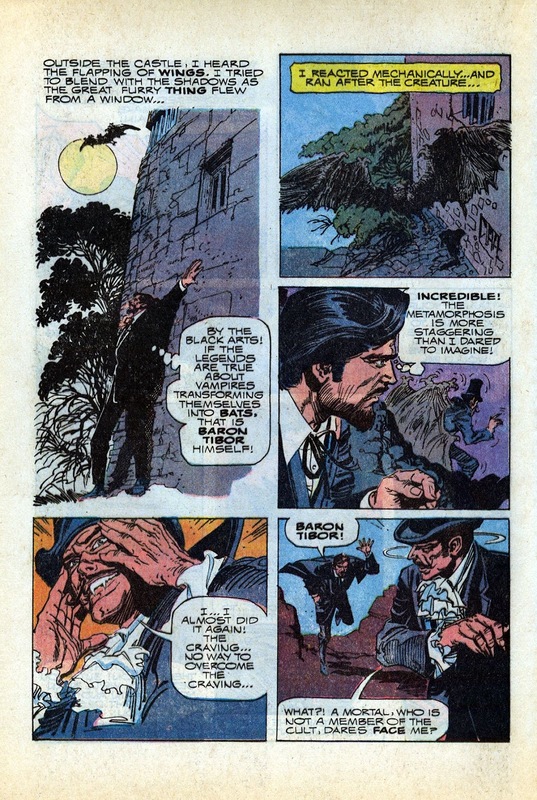 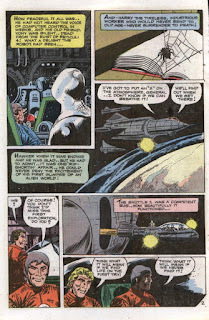 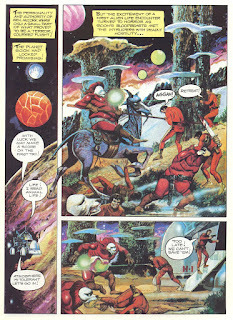 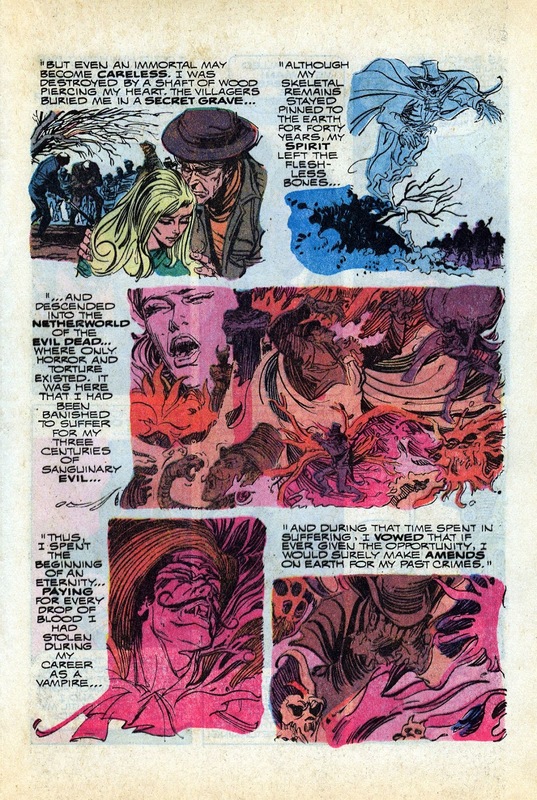 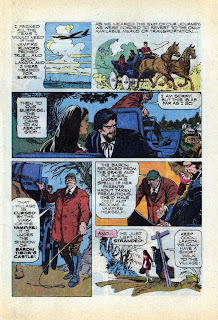 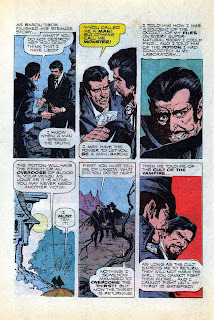 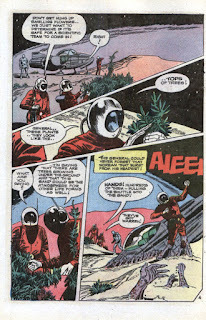 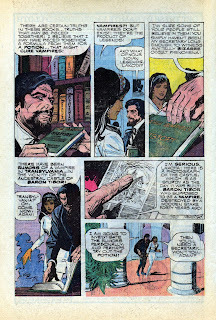 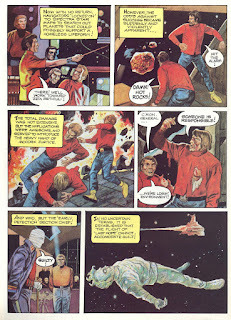 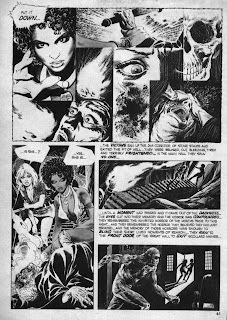 Experimental himself, Pat Boyette. 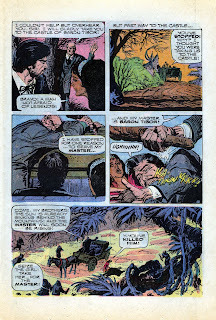 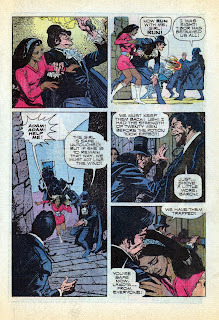 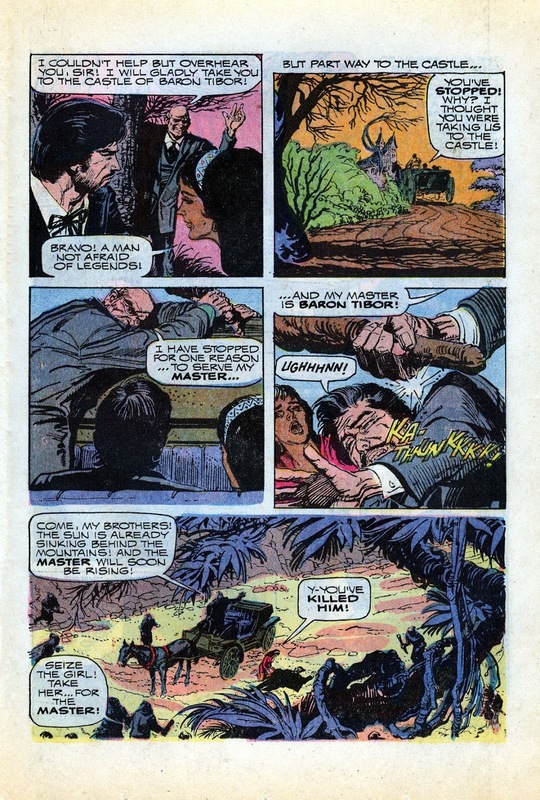 It's taken me a long time to get into Boyette's work, being a cast iron example of the kind of thing I hated as a kid. 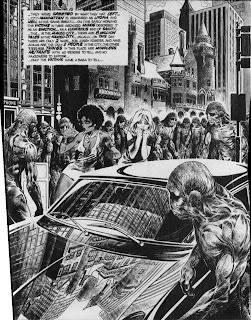 Too weird, too ugly, too out there. 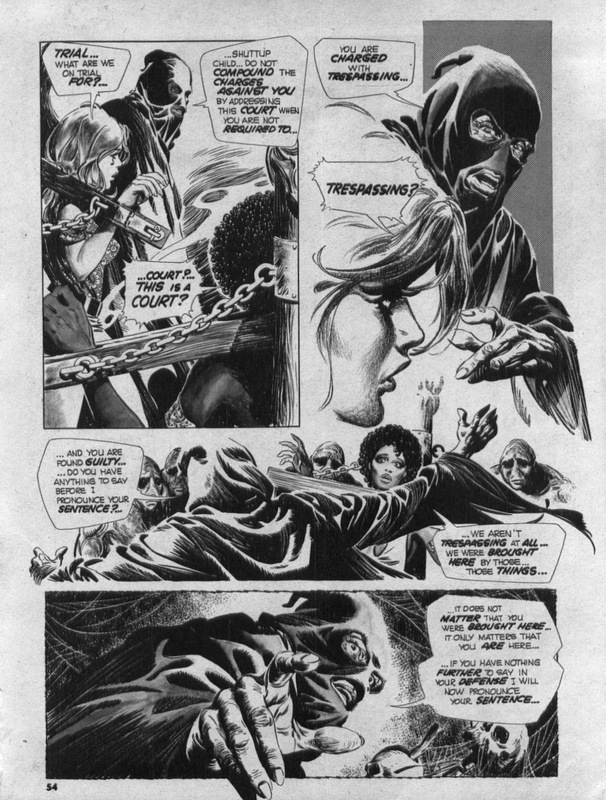 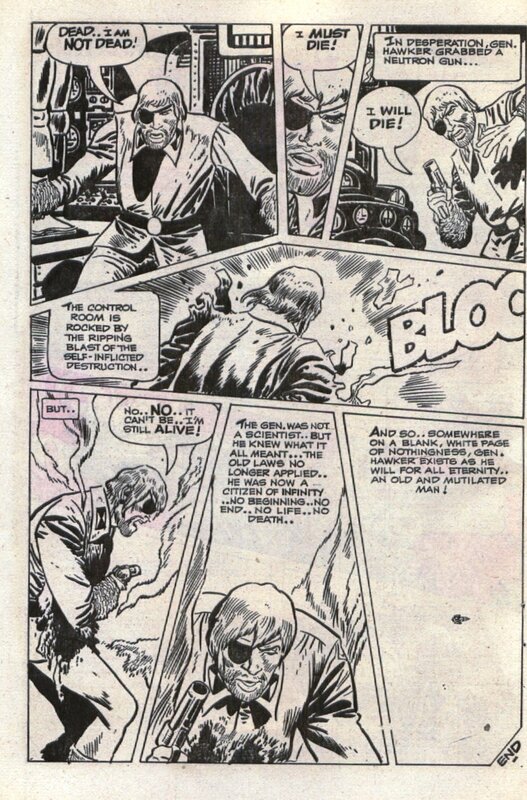 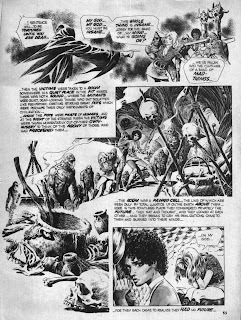 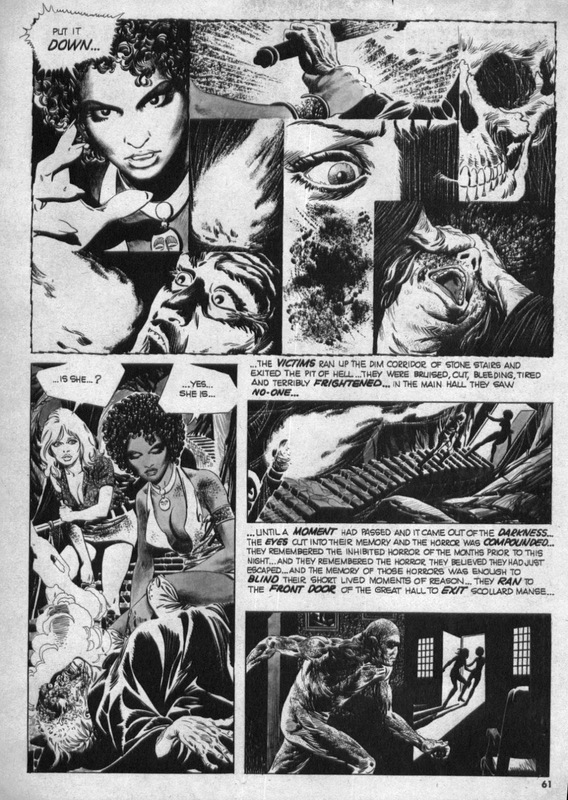 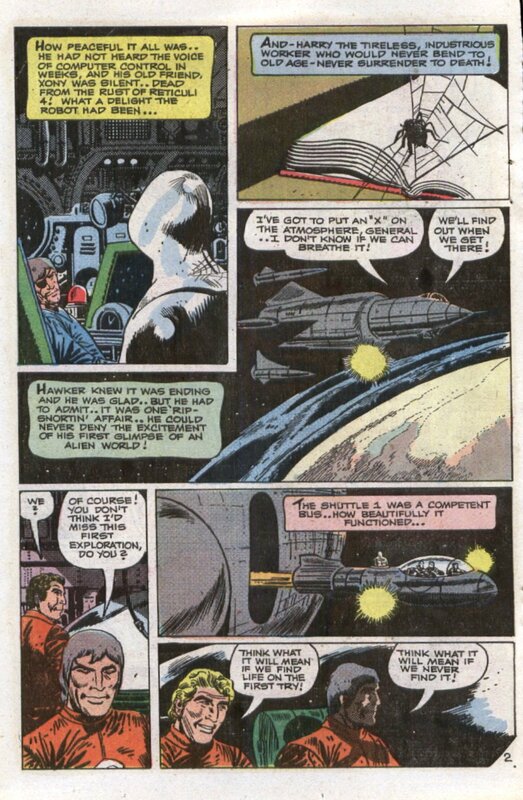 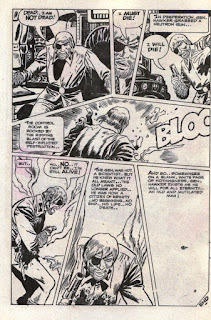 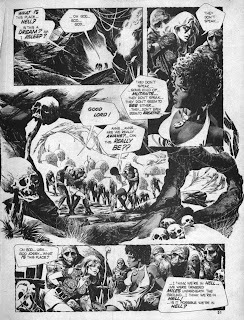 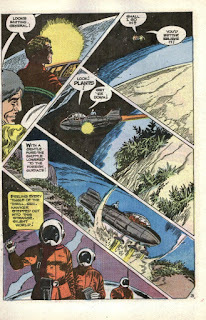 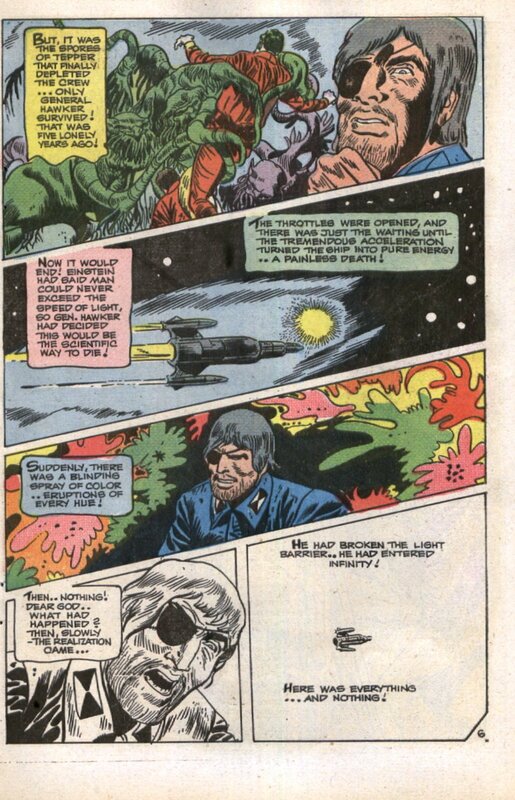 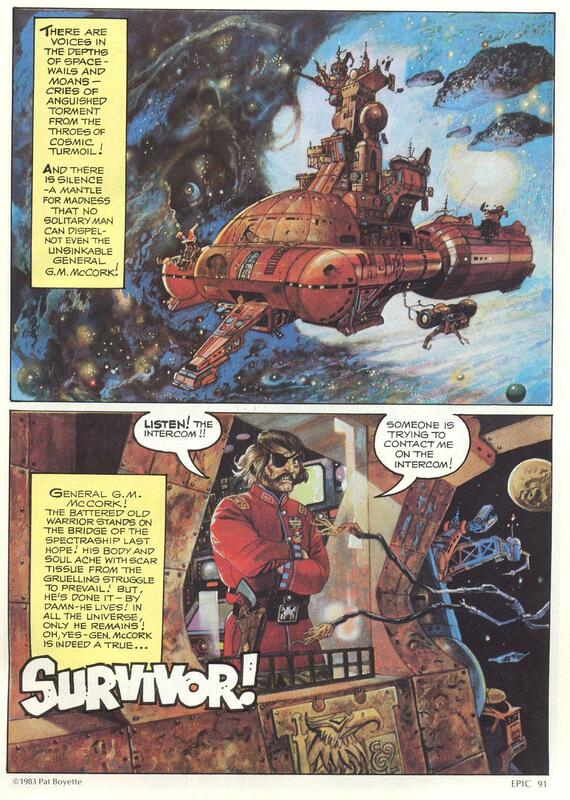 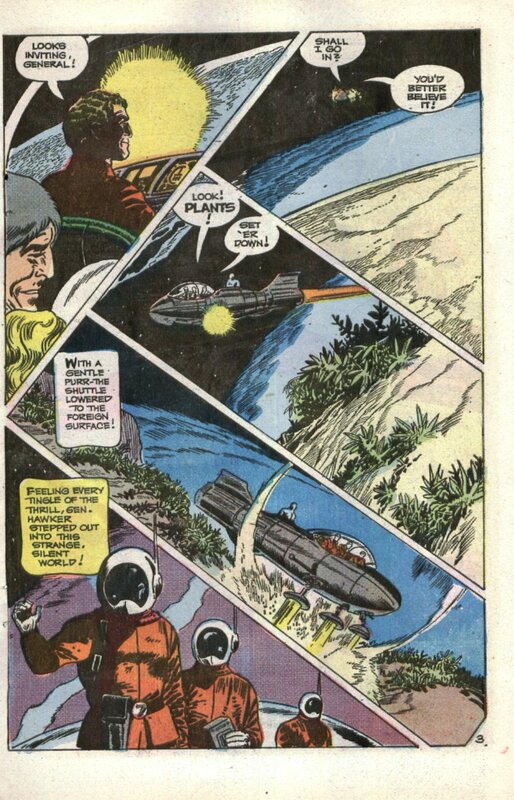 I still wouldn't say I absolutely love it as an adult, but what I do love is Pat's willingness to throw everything into the mix, be it odd camera angles and page layouts, or mixing media, colour and black & white as he does here. 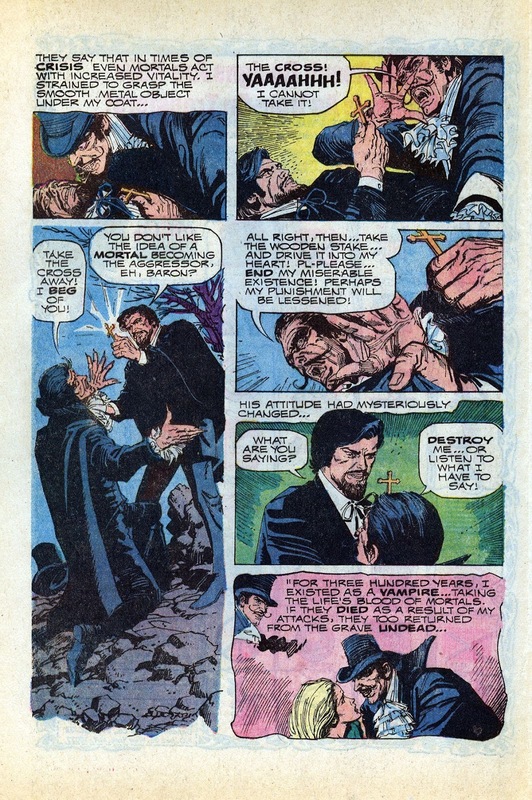 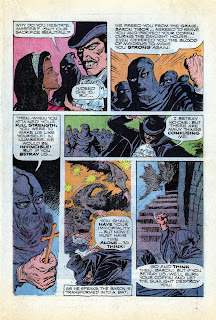 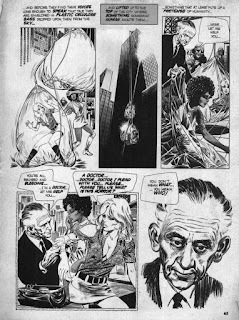 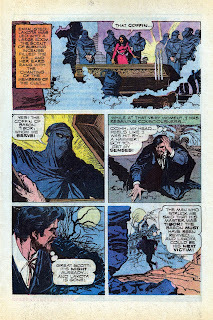 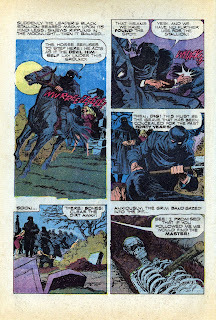 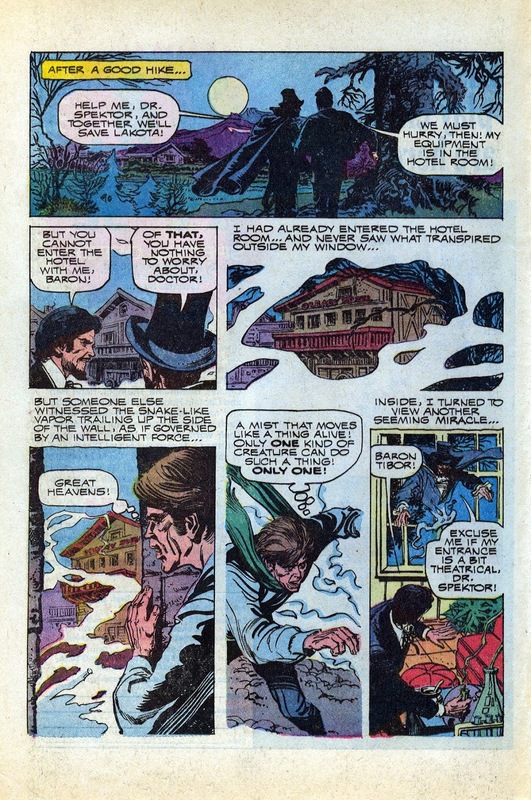 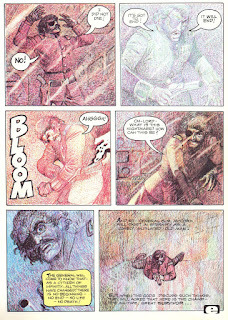 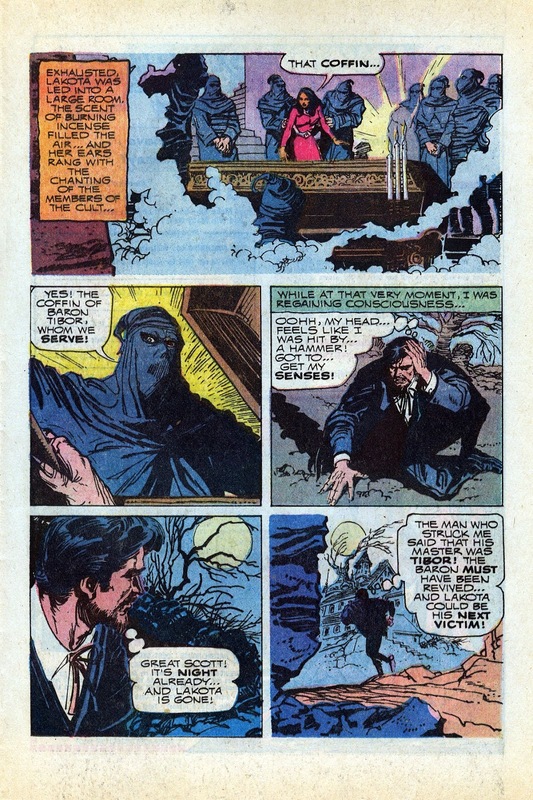 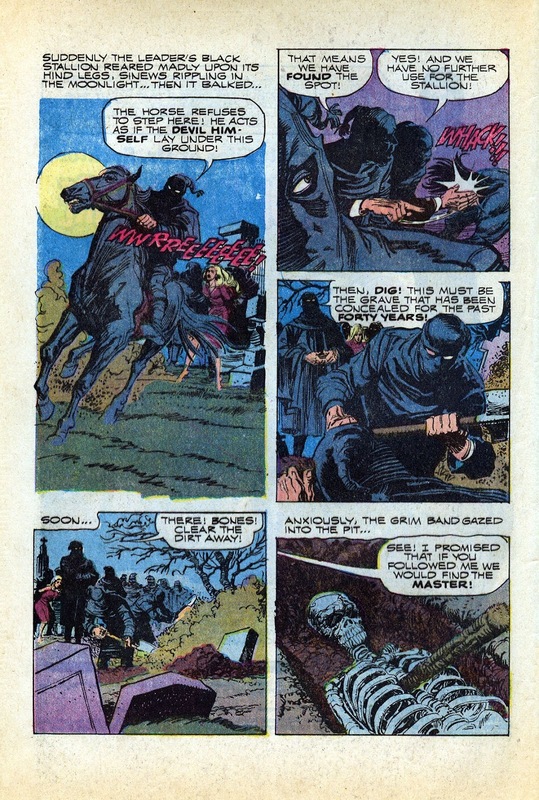 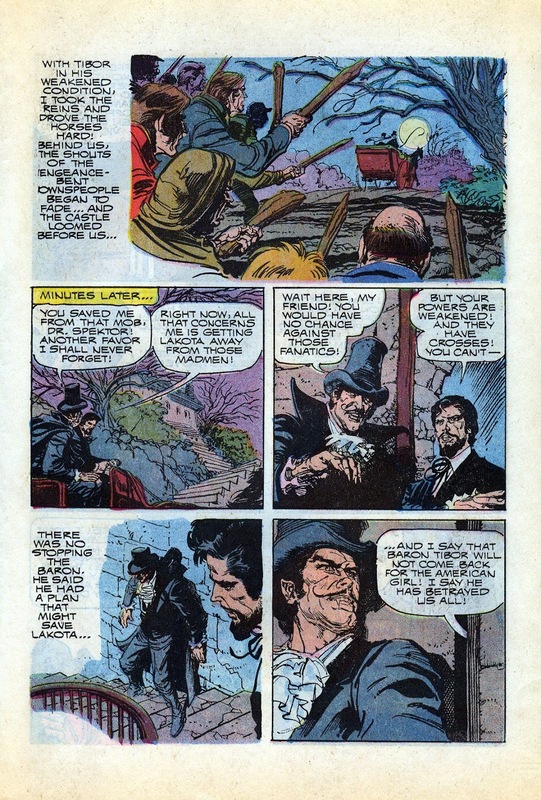 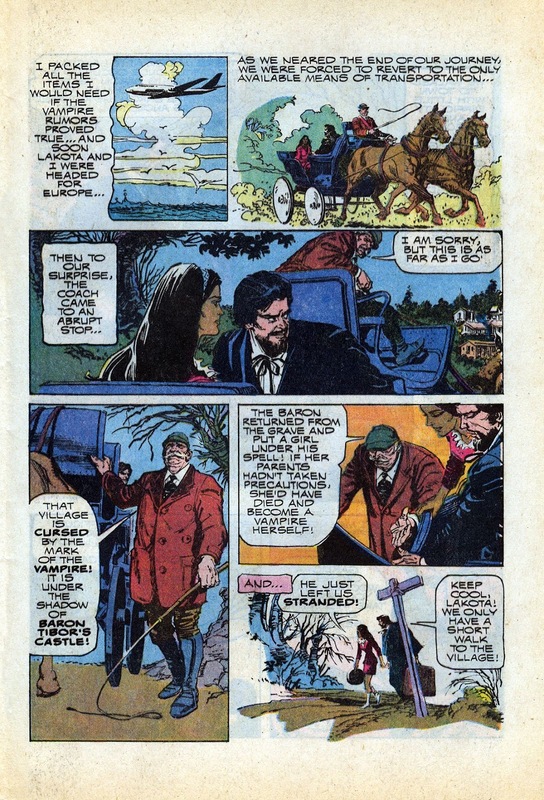 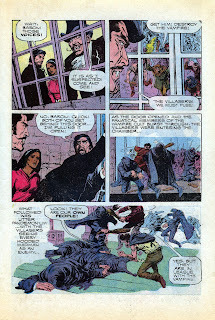 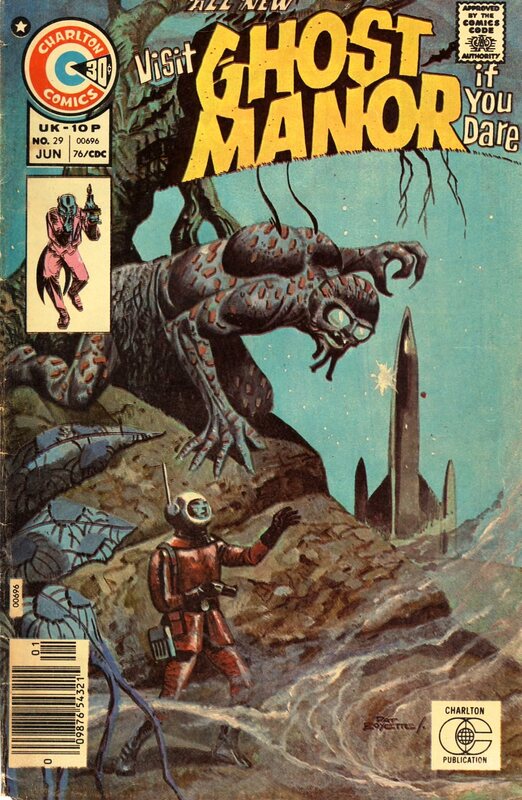 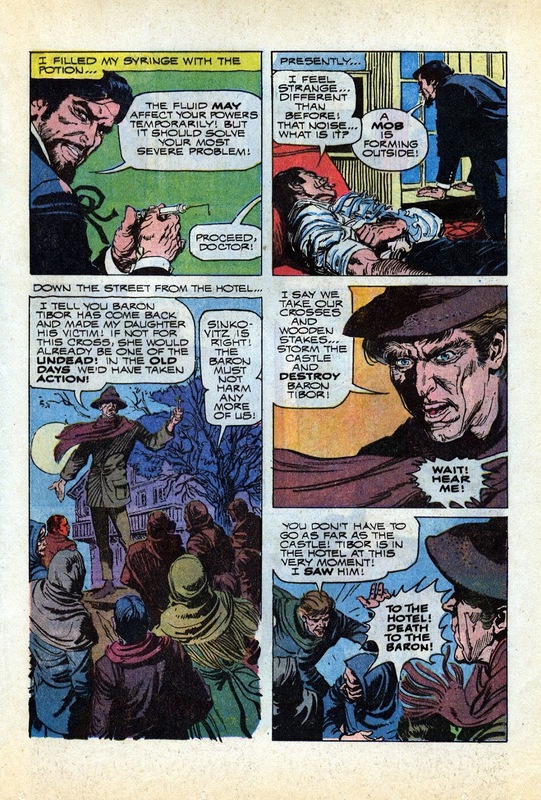 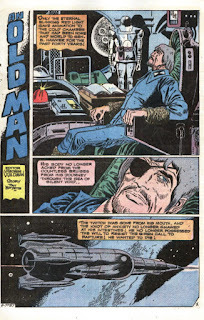 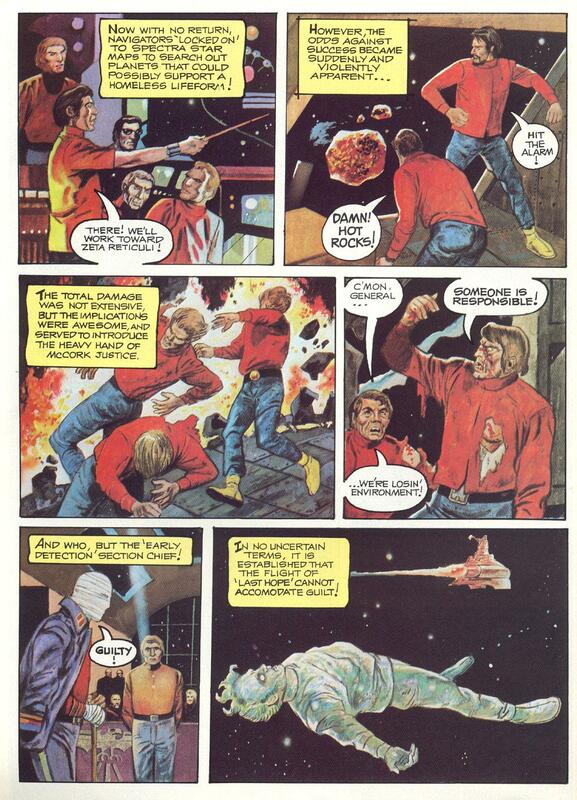 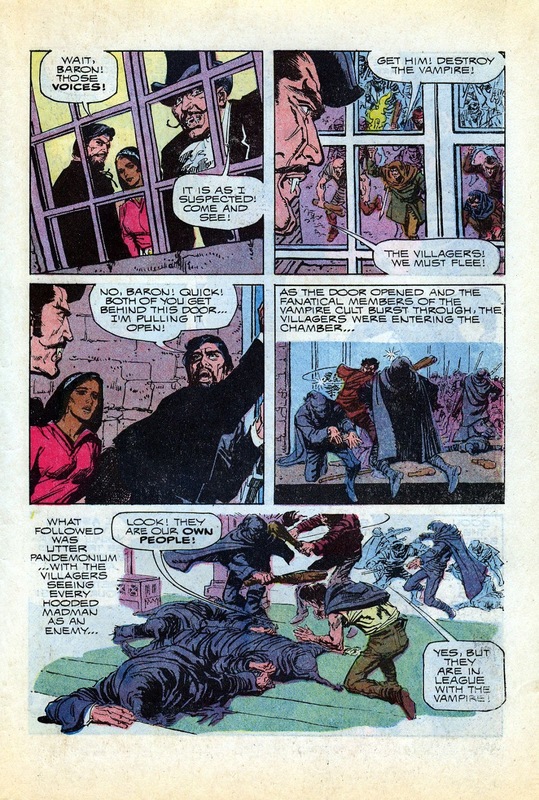 An Old Man appeared in Ghost Manor in June of 1976, and it's a great, bleak, mournful tale. 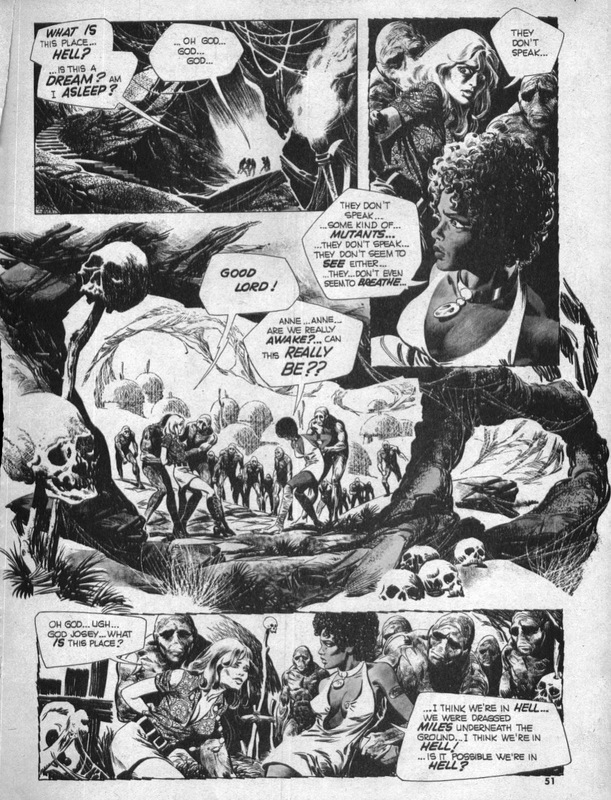 Then, in June 1983, Archie Goodwin gave Pat the chance to do it again in Epic, with better production values, and Survivor is even better. 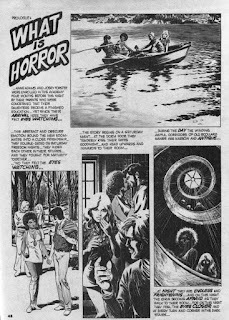 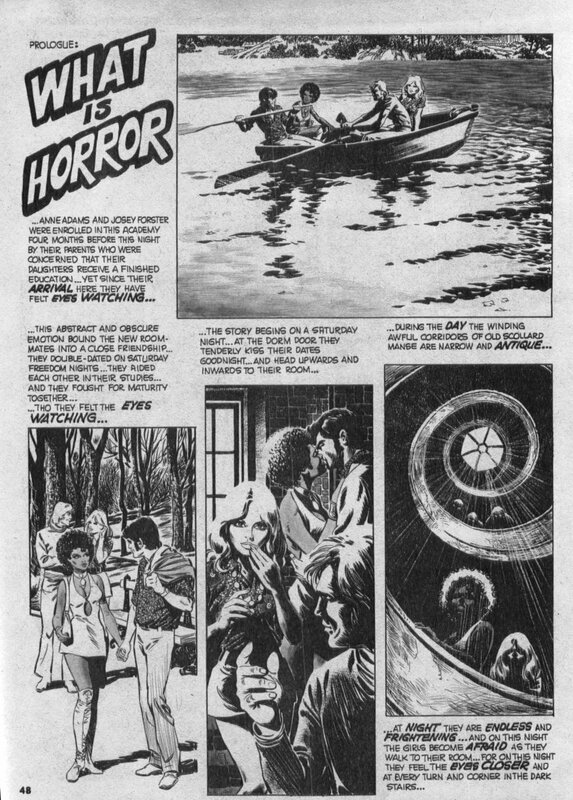 The Saga Of The Victims ran in Scream, and was one of the best things Skywald and it's head honcho Al Hewetson ever did. Archaic Al always came up with great ideas, but was always more interested in mood ( The Horror Mood as he called it ) than logic in his stories. 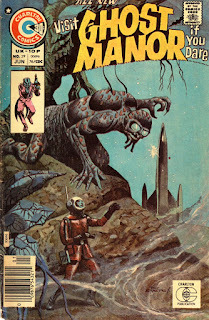 If it was weird and strange, that was enough for Al, it didn't have to make sense. As a result, Victims deliberatly makes no sense at all, gets crazier and wilder with each suceeding page, never mind each installment, and the best thing to do is just let yourself go with it. 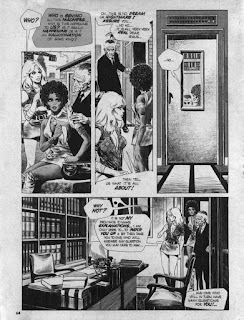 Our two heroines, Josey and Anne, don't go with it and fight the madness every step of the way, even though they have no more idea of what's happening than we do. 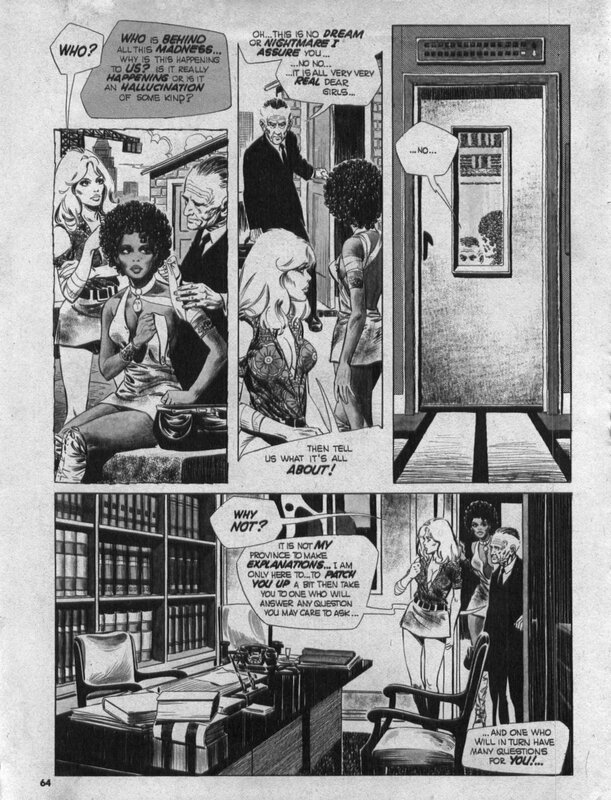 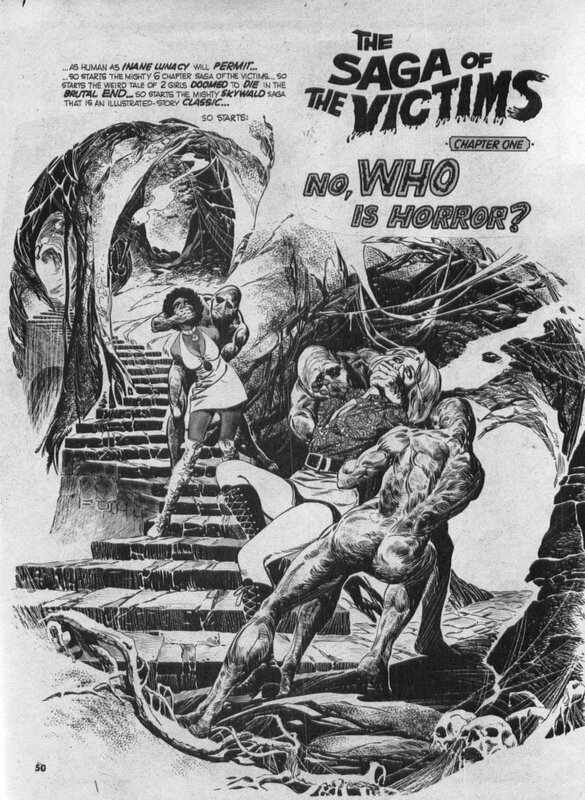 Victims was never finished at the time, Skywald going out of business before Hewetson could explain just what the hell was going on in his magnum opus, though he did get a chance to wrap things up years later in a one issue piece that properly ends the series. By all accounts, it comes to a bit of an unsatisfactory close, but I'm not sure I actually want an explanation, as that would dilute the absolute barking madness of it all. 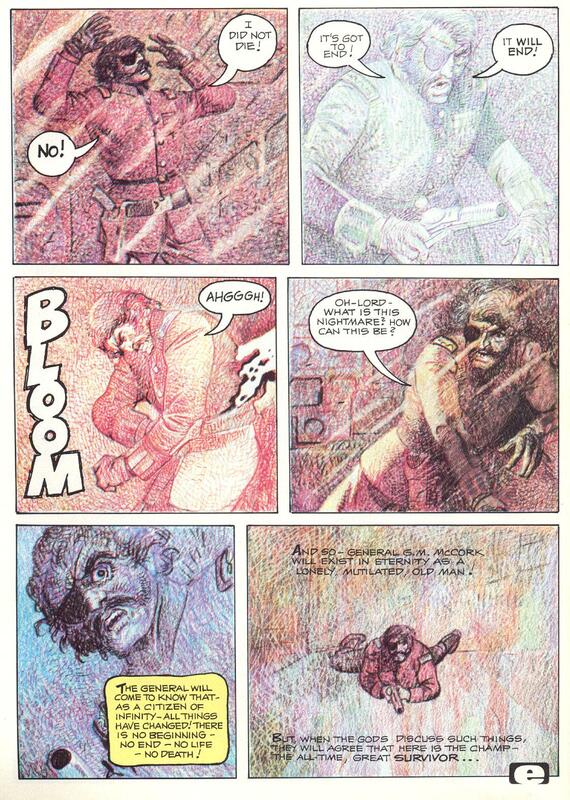 Some things are better left unsaid.